In 3E 393, the fourth child of King Camaron and Queen Akorithi of Sentinel was born. Though he was the royal couple's third son, they named him Lhotun, an ancient Redguard word meaning "second boy". This proved prophetic when Arthago, his eldest sibling and heir to the throne, vanished in 3E 400. It was widely rumored that Arthago had either died of a fever (he was known to be a sickly child) or had been kidnapped by the Underking. Prince Greklith (whose own name meant "strong king") became the new heir, but when Camaron was killed during the War of Betony in 3E 403, Akorithi became the regent. In his youth, Lhotun was known to fall into dark moods. Lhotun had not forgotten about Prince Arthago, and whenever he asked about his brother he received a different story. 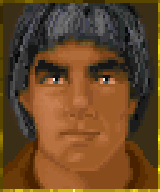 He wanted to know the truth, and sought the services of an agent of the Blades who was investigating a haunting in Daggerfall, offering information. The agent agreed, and received help from the Underking's minions, who claimed the mysterious figure wanted to prove his innocence. And he was innocent; the agent found a document containing the last words of Prince Arthago. 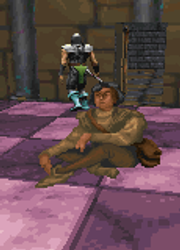 The missive revealed that the doomed prince's own parents, disgusted at his fragile health and interest in scholarly pursuits, had had him kidnapped and left to die in a forgotten dungeon, which he did. This revelation, while confirming Lhotun's worst fears about his brother's fate, did appear to put the young prince's mind at ease, at least for a time. Following the Miracle of Peace in 3E 417, Sentinel grew to encompass the entire northern coast of Hammerfell. A few years later, a plague claimed the lives of Prince Greklith and Queen Akorithi, and the throne of the sprawling kingdom passed to King Lhotun. However, there was still unrest in Sentinel, a Forebear kingdom, as most of the formerly independent lands that Sentinel now encompassed were Crown sympathizers. As of 3E 432, King Lhotun had overseen military, diplomatic, and religious missions to maintain the peace within the kingdom. As a compromise, Lhotun created what was considered by some a third party, the Lhotunic. This faction maintained a reverence for the Redguards' Yokudan past, but also held respect for the Imperial ways. Unsurprisingly, the moderate Lhotunics were reviled by Crown and Forebear kingdoms alike. Queen Clavilla of Taneth (a Forebear land) tried unsuccessfully to revoke the charters of the independent guilds in Sentinel lands, claiming the accepted worship of Satakal was grounds for heresy against the Empire. Ayaan-si, High Prophet of the Crown city of Elinhir, incited the "True Crowns of the north" to rebel against Lhotun, and also financed several border skirmishes in Bergama and Dak'fron. These efforts were unsuccessful, save one significant development; Totambu (named after the Na-Totambu of Yokuda, the progenitors of the Crowns) declared its independence from Sentinel. However, Sentinel still completely surrounded Totambu. Though the resistance held for a time, it isn’t known how this incident was resolved. King Lhotun is mentioned in the book Night Falls on Sentinel, which tells the story of an agent of Sentinel sent by the king to exact vengeance upon Prince Arthago's kidnappers. While the historical accuracy of the narrative is not known, the book does serve to provide closure to Lhotun's quest in TES II: Daggerfall. This page was last modified on 26 February 2019, at 21:45.